Do you have the habit of biting your nails with your teeth? Or maybe use your teeth as a bottle opener? Or even worse, use your mouth to hold your keys when your hands are busy? Well, you are in for a nasty surprise then! Along with some harmful food items, this inedible stuff we put in our mouths can create health hazards we are not even aware of. Oral care is often neglected by most of us. But we don’t realize that taking good care of our oral health often helps us avert terrible diseases that would have been fatal if detected late. So here are a few things you must never put in your mouth, eat, or chew if you want a healthy life. Some people bite their nails out of anxiety, while others do so because it has been their habit for a long time. Aside from the fact that our hands are dirty as we touch so many things daily, nail-biting can be terrible for you teeth, too. It is known that biting nails for years might flatten the edges of your frontal teeth. It is also known to cause cracks on the enamels of your teeth. If you have been facing sensitivity in your teeth, it might be because of those cracks. So, if you are a fan of sweet and cold things, this is your cue to stop nail biting. We have all found that viral video of babies tasting their first slice of lemon exceptionally cute. There are even videos of adults eating whole lemons or limes as a challenge, although this one’s less cute than the former. The point here is that though lime and lemon are one of the richest sources of vitamin C, having it on its own might not be good for your teeth. But mixing it with other ingredients is great for you such as in salads, sauces, and even meat. 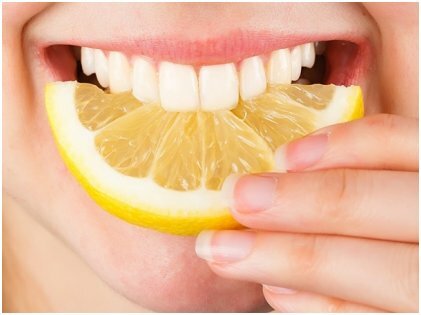 Remember that consuming a lemon by itself creates an acidic imbalance in your mouth, and the acid affects the teeth, too. 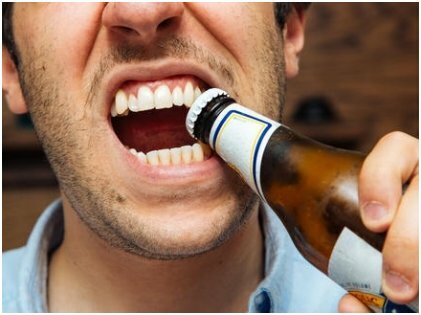 Many of us have the habit of using our teeth as a bottle opener. Or we also tend to use our teeth to open plastic bags when we can’t find a pair of scissors nearby! But we need to understand that our teeth are not made for these purposes. 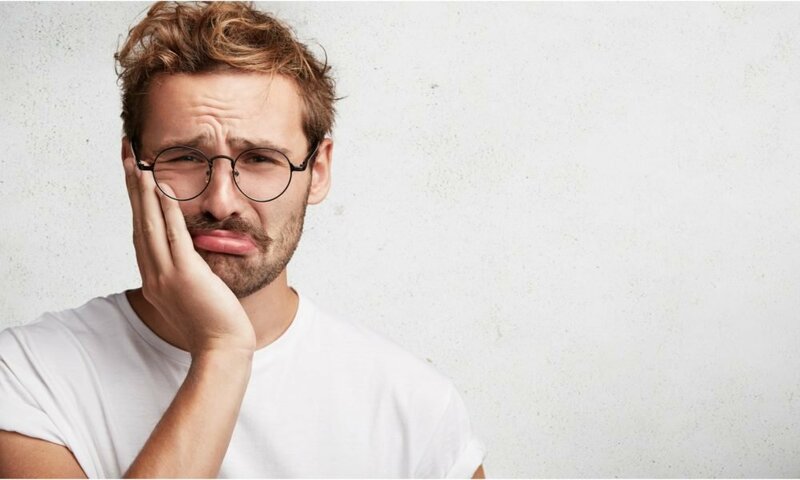 Hence, by doing this, we put extra pressure on our teeth which might cause such a big crack in your teeth that you might need medical attention. Candies are irresistible! Age really doesn’t matter when we see a candy stall in the market. There are different kind of candies — they can be chewy, hard, or soft and sugary. 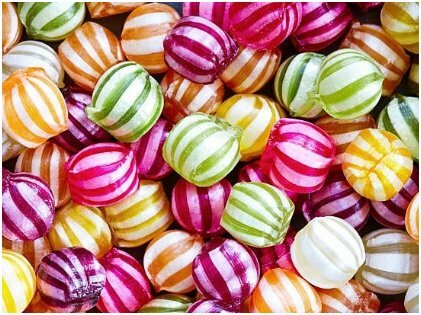 However, according to experts, these hard candies can spell disaster for your dental health. Too much grinding and chewing, and the excessive sugar are bad for the teeth, and the grinding can even cause cracked teeth. So kids and kids at heart, beware! Just like biting nails is a terrible habit, some of us have this habit of nibbling on our jewelry. It could be something we are wearing on our hands or a chain like a necklace. But what we fail to understand is being an external thing, jewelry can accumulate a lot of germs and dust from the atmosphere. When you put them in your mouth, those things get inside your body, too. Moreover, the sharp edges of the jewelry can harm the soft tissues in your mouth and even be responsible for fractures. Receding gums might also happen in these cases. The same goes for keys. Often, when we have our hands full, we tend to carry keys in our mouths and unknowingly cause breakage in our teeth. Apart from these weird inedible things, we should always avoid soft drinks full of sugar, potato chips, and cigarettes as these are well-known criminals when it comes to our oral health. Stains on the teeth, bad breath, and plaque accumulation are other side effects of eating starchy, sugary food or weird things. Next time you put something in your mouth, you better think of the consequences that might follow.